We are made of our fears and failures. We are the result of the strange combination of the chaos of life and of how all the possible destinies of the world can crash into our way. In my last two years, I have gathered all kinds of failures, I have faced fear, and I have learned to live with it in the same room, but most importantly I have learned how to use my fear to become stronger. I lost a dream –or at least the path to accomplish it-, I was unemployed for months, I lost my self-esteem and the most meaningful relationship I’ve ever had… However, I learned how to master The Art of Losing[i]. “Lose something every day”, Bishop says. This is nothing to be proud of; this is simply what we all are in the obligation to do. Facing life head-on is as important as breathing. During the last month, I have been pushed past of all my comfort zones and I was faced with new fears. I believe that all of us should have a room where we collect all the fears we lost and a wall in which we count every time we conquer a failure. I got a new job as a Public Affairs Specialist at Alamo Area Council of Governments, as a part of the Community Solutions program from the U.S. Department of State and IREX. The fellowship is in a different language than Spanish, different culture and with different standards. I had five days to find apartment, 100° F of heat, too many guns and soldiers (Do not get me wrong on this one, but Costa Rica has no army since 1948). I told myself “Marysela, everything is going to be alright”. 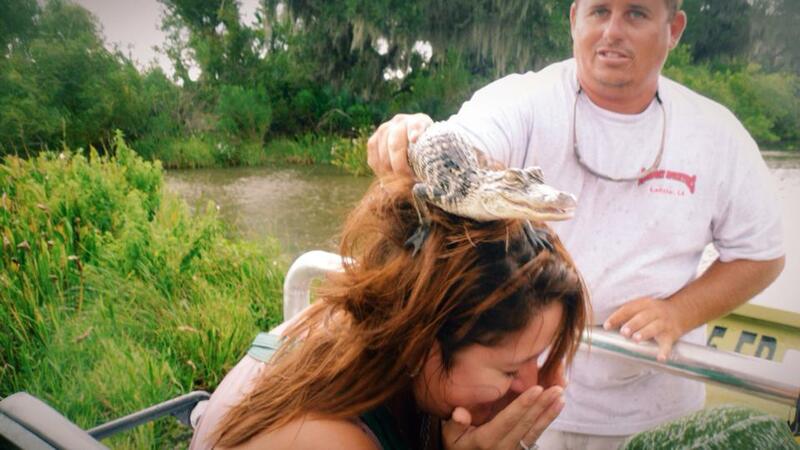 In the middle of the swamps of New Orleans, a Tour Guide decided to put an alligator on my head. I freaked out -I screamed like crazy while I had that cold and heavy body on my head. Of course, by the end everything was really funny, given the tiny size of the alligator. The truth is that I generally don’t like alligators, rats and bats. I was, also, invited to the Bracken Cave where during this time of the year, millions of females and baby bats come out of their caves to get food. Nature has curious ways and I realized that, most of the time, fear is the result of ignorance, and surrendering yourself to ignorance is a dangerous road. 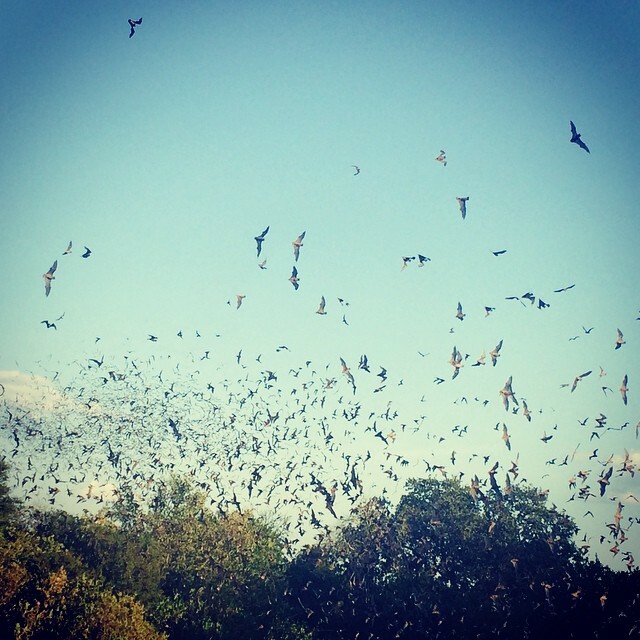 Bracken Cave – Bat Conservation International. Although all these cute little stories are really funny and pleasant, just like the movies we watch on Sunday afternoons, my bike has given me the biggest lesson this month. I recently decided to commute to work by riding my bike. I had around 10 years of not riding one and I certainly did not know if my physical condition will allow me to make the 14 miles roundtrip every day. My commute is 14 miles full of emotional ups and downs. There is a forest, beautiful neighborhoods, dogs, and plenty of hills. Sometimes I feel that I can conquer the world, but, in the same trip, I just feel that the world is killing me. There’s a thing about hills, they will keep you real and in contact with your weaknesses. When I see a new hill coming, an inevitable fear comes to me and I have that little voice in my head saying “You can’t do it”. I take a big breath and I take that hill as if I owned it, but I have to be honest, most of the time the hill is beating me; regardless of this I never stop, and never in the middle of a hill. There is always a route you take that reminds you of your own mortality, that you are made of air and water and that you are running out of both. It does not matter all the strengths you think you have when your knees keep telling you, “You are not as strong as you think you are”, These routes are the ones that keep you in touch with reality, they keep you human. Something funny happens at the end of the hill, you realize that the road was not as hard as it seemed to be. Hills always look terribly high from the bottom, but once you reach the top you know that you were perfectly prepared to ride it. In life, you have to run away from the poison of the continuous success. Not failing keeps us away from our human condition. In order to survive, the only possible path is to be ruthless with hills, because the fear that you feel before you have to ride them is what gives you the strength to beat them. 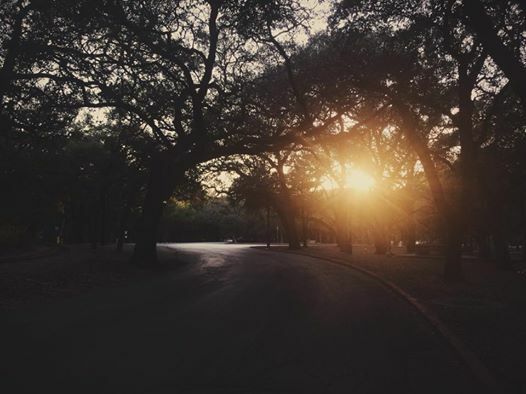 Brackenridge Park, San Antonio, TX. Previous Post El fino arte de enfrentarse a una misma.